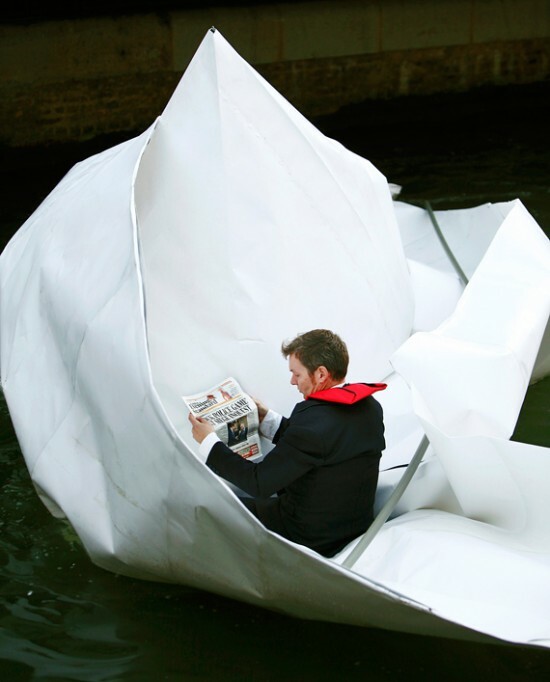 After carefully folding it on the banks of the Thames, artist Frank Bölter jumped into his origami boat and sailed it under the surprised gazes of passers-by. 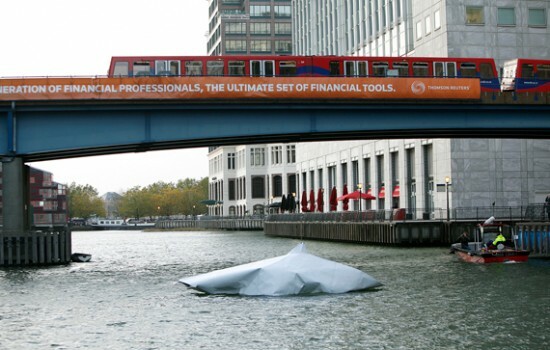 Named “To The World’s End”, Frank Bölter’s paper boat was part of the Drift 10 art exhibition, in London. 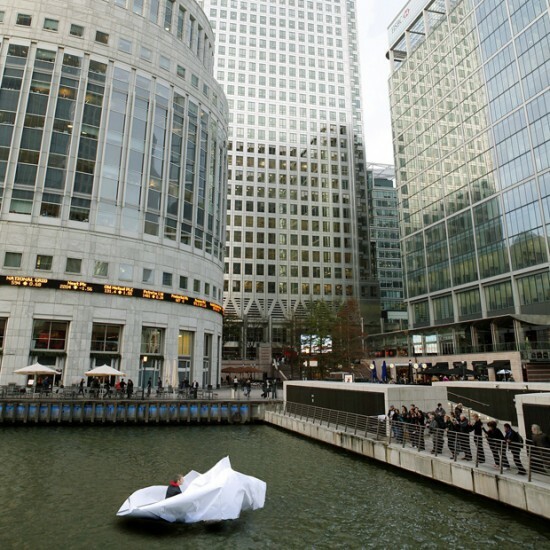 It was created out of giant sheets of paper that he and the public at the Canary Wharf Docks folded, using origami techniques. Reinforced with metal poles, the unusual sailing craft didn’t seem to sink, and its creator was so relaxed that he laid back and read a newspaper, while the public stared at him in awe. This is not Frank Bölter first strange boat. In 2007, he put together a boat out of Tetrapack (the aluminum plated cardboard that milk cartons are made of) and sailed in it around Lauenburg harbour, in Germany. 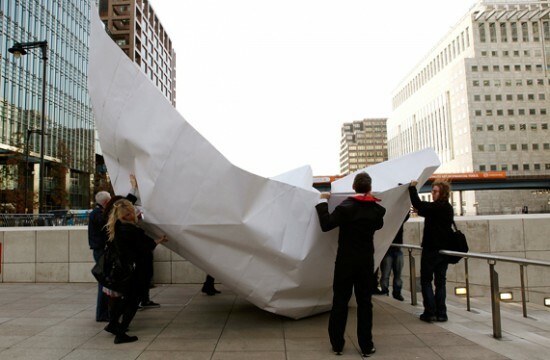 Just like “To The World’s End”, it was folded using origami techniques.